Noelle Stevenson is a comic artist and freelance illustrator residing in Los Angeles, California. 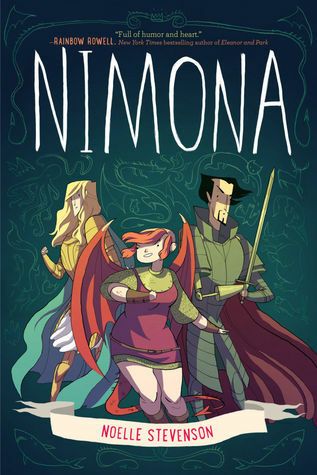 She published the young adult graphic novel NIMONA in 2015, which is also serialized online . She has been nominated for a Harvey Award, and was awarded the Slate Cartoonist Studio Prize for Best Webcomic in 2012. She is a graduate of the Maryland Institute College of Art and has done published work for BOOM! Studios, Random House, MacMillan Press, and What Pumpkin Studios, among others. She is the co-writer of LUMBERJANES, a comic series from BOOM! Box, and has done writing work for Frederator's BRAVEST WARRIORS as well.